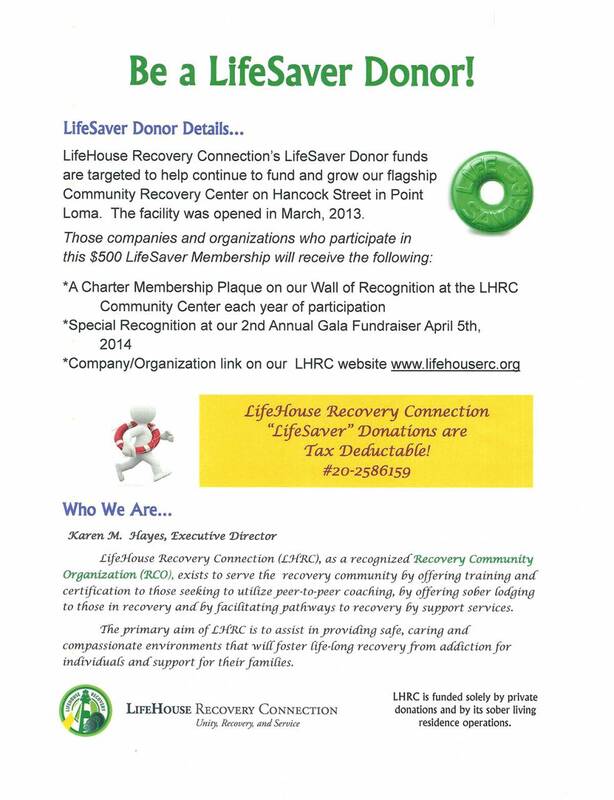 LifeHouse Recovery Connection (LHRC) exists to serve the Recovery Community by offering training and certification to those seeking to utilize peer-to-peer coaching, by offering sober lodging to those in recovery, and by facilitating pathways to recovery by support services as a recognized Recovery Community Organization (RCO). The primary aim of LHRC is to assist in providing safe, caring, and compassionate environments that will foster life-long recovery from addiction for individuals and for their families. The strength of LifeHouse Recovery Connection lies within the individuals that comprise our organization. It is the commitment of our volunteers, our staff, our directors, and in the individuals in recovery whom we touch whose collective experience, training, and understanding come together with commonality for the good of the entire Recovery Community.